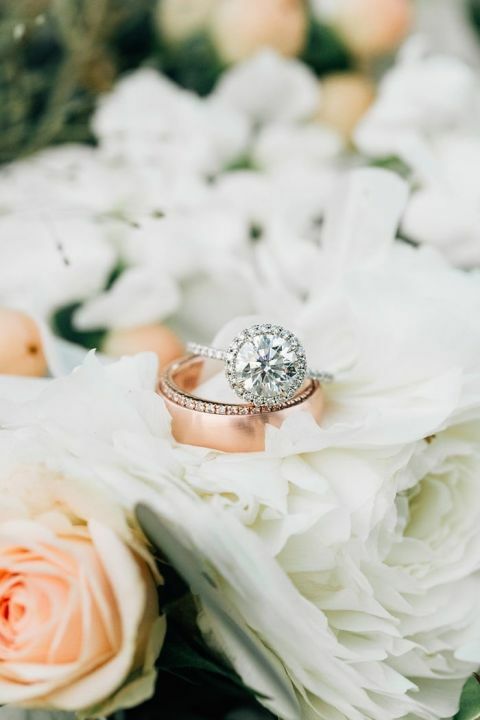 Sunshine and laid back elegance are the hallmarks of this San Diego wedding from Jenna Bechtholt Photography! Zach and Jordan planned a chic Southern California soirée to bring together their Michigan family together to celebrate their wedding day. 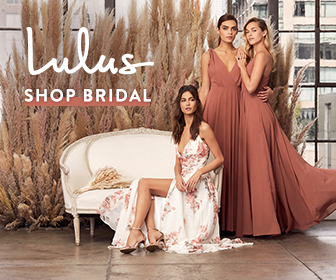 Organic florals in peach and sage green, rustic bohemian details, and a backless lace wedding dress await! A love of sunshine drew this Midwestern couple to Southern California to live, and it was beautifully reflected in their wedding day. The palm trees and terra cotta roofs of Mt Woodson Castle offered the perfect West Coast setting for their family and friends who flew in from Michigan to celebrate. 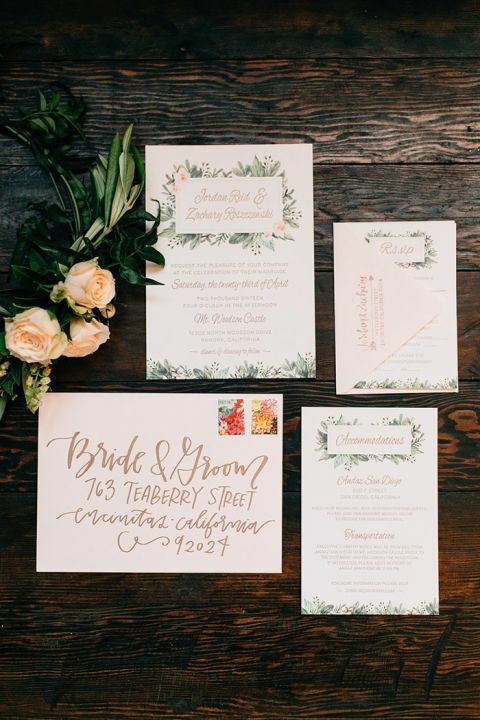 An effortless combination of peach flowers and organic greenery complemented the natural tones of the unique surroundings, which included local redwood, eucalyptus, and rock for a setting steeped in natural elegance. 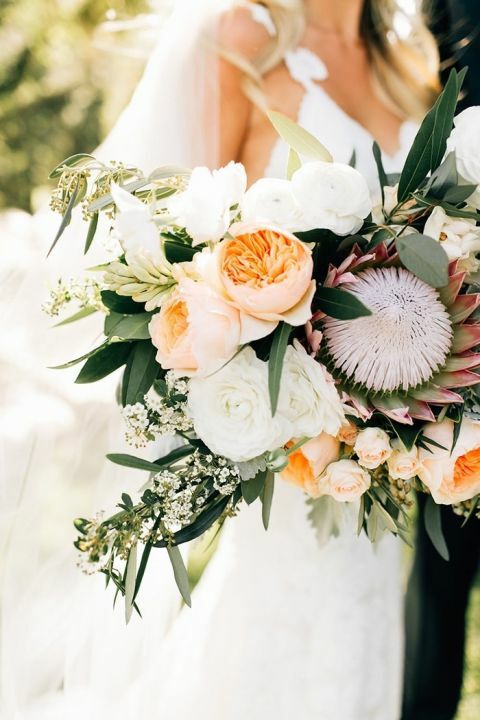 Jordan’s bouquet of King Protea, silvery leaves, and garden roses reflected the laid back style that exemplified their wedding day. Her lace Katie May wedding dress featured a low back famed by trailing lace straps, perfect for an effortless SoCal bride. Hairstylist Thorne Artistry transformed beachy waves into a wedding worthy look, with a half updo accented by a long lace veil. The California sun beamed down on their wedding day, from the groom’s early morning surf session, to their first look on the castle grounds, to the ceremony held under a floral archway. 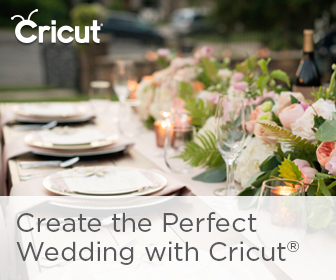 Once Zach and Jordan were declared husband and wife, their guests adjourned to an al fresco reception that was filled with personal details. Slices of jewel toned agate added a pop of color as gemstone table numbers, while wooden chargers and bottles of natural soda personalized each place setting. 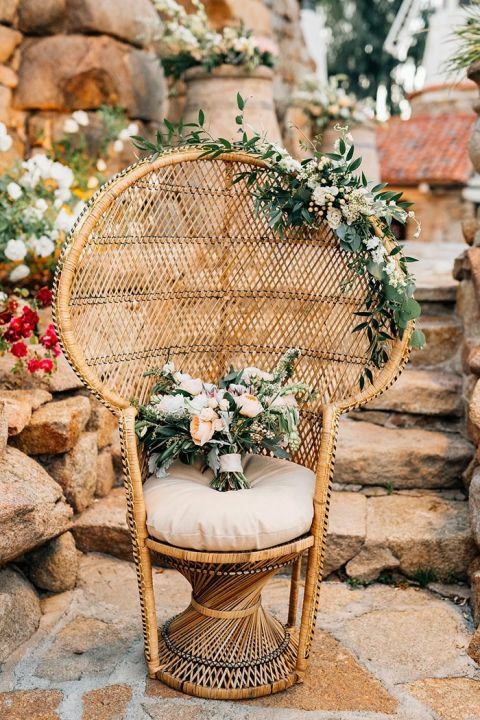 The bridal party sat at a long farm table adorned with a greenery runner and colorful votives, with ornate wicker chairs for the bride and groom. The focal point of the reception was a retro VW van from The Photo Bus that doubled as a fun photo booth!